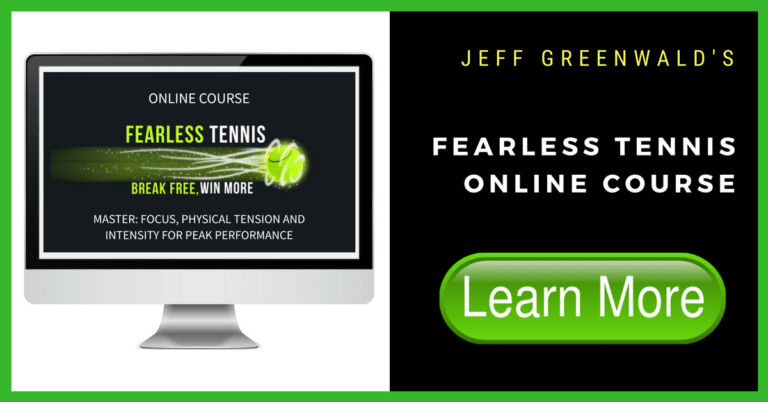 Before I transformed my mind and approach to the mental game of tennis I had a pretty rigid view of my game and place in the tennis rankings. Basically, my self-image reflected my past results and view on how I typically played in matches. Of course, as a result, if I was playing someone I knew was ranked higher or better I would determine my chances of winning. If I was playing someone ranked lower than me I would feel more confident but also worried about losing on that particular day. I did my best to manage this rollercoaster. But, it was certainly not optimal. As I began to challenge this paradigm–rigid beliefs that were actually not based on possibility or my overall ability as a player or strengths as an athlete–I began to open my mind. I opened my mind to NEW ways of being on the court. I explored what it felt like to be “loose” and swing through my shots without the same rigidity and self-imposed limitations. I chose to let go more, focus more on the quality of my shots and even more committed to executing my plan. I noticed that my shots would land deeper with more pace with less effort and I would win more. It wasn’t a straight line up, but I began to experience the game on a totally different level. I was now flying my own plane, managing the turbulence at times but feeling a renewed sense of purpose on the court–that the HOW of the match mattered more than anything else. It was a personal quest for freedom. And how sweet it was to find it. I am even more proud now to share this experience with others so they, too, can take off the shackles and play on their terms in every match they play.